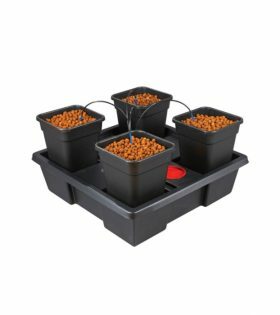 An active hydroponic system offering the precision and control of hydroponic feeding, combined with the flexibility of growing in pots. 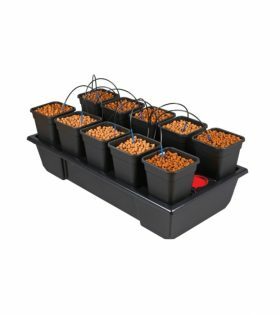 Atami Wilma 16 Pot System is inspired by drip irrigation, the Wilma is the most versatile system on the market and supplied with 16 Atami 11L pots. 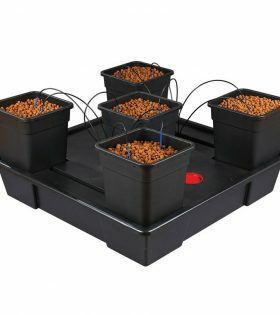 Pots are placed on a support tray that rests on a nutrient tank and periodically nutrient solution is delivered to each plant through a dripper to each pot. 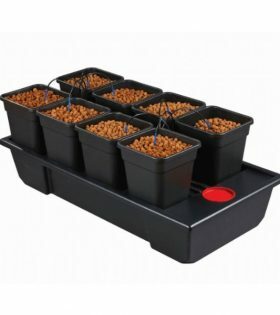 So for those of you who choose to grow in pots you can now save yourself hours of work and automate your feeding. 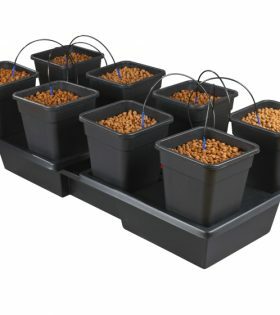 If you don’t want to grow the number of plants supplied with the system simply remove some of the pots! 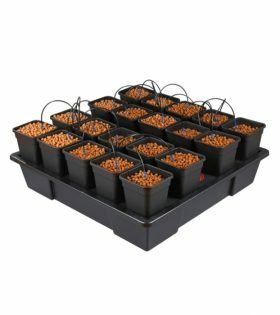 There is a choice of five sizes and each one is supplied with a choice of drippers making them compatible with any media you want to grow in. Effortless setup and automatic feeding saving hours of work. Excellent drainage whatever medium is used. Easy pump access for maintenance and monitoring of nutrient solution. 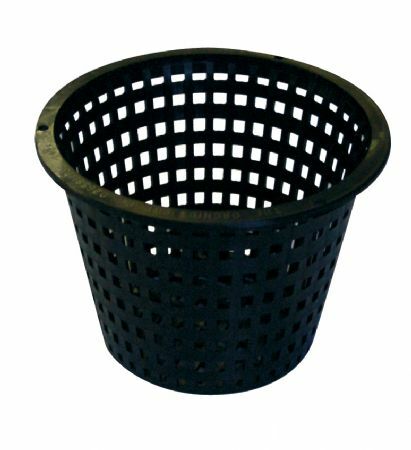 High quality pots are ideal size and reusable. 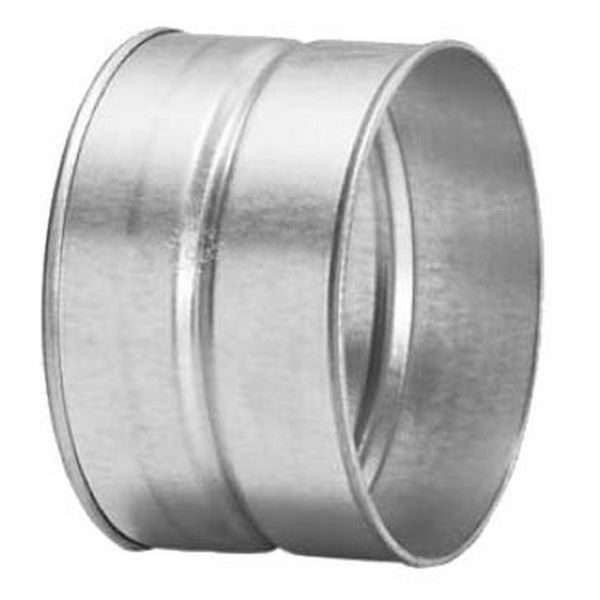 Self-contained system greatly reduces chance of leakage. 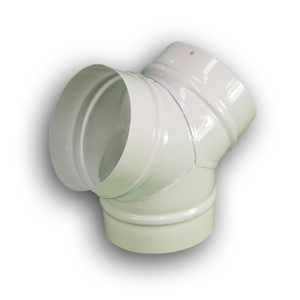 Comes with a selection of drippers suitable for any medium. Frequent feeding means greater uptake of water and nutrients. 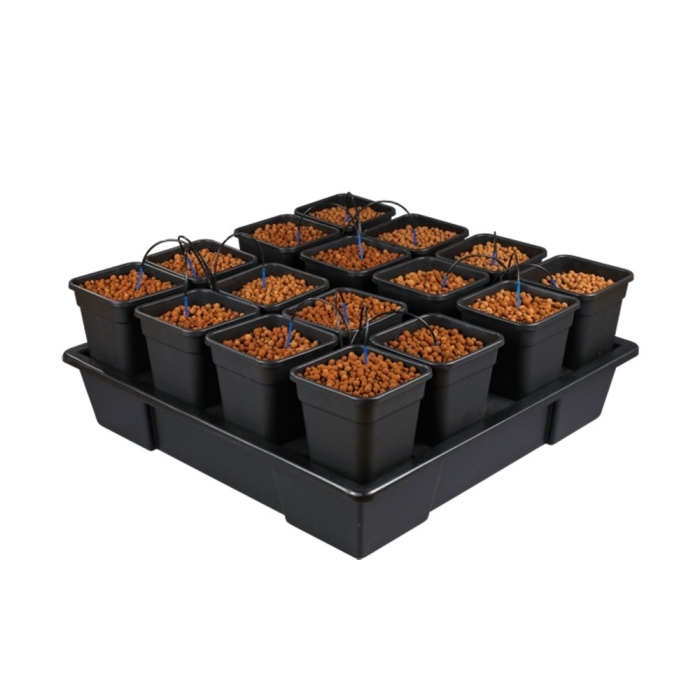 Active hydroponics roots do not rely on the capillary action of the growing medium. 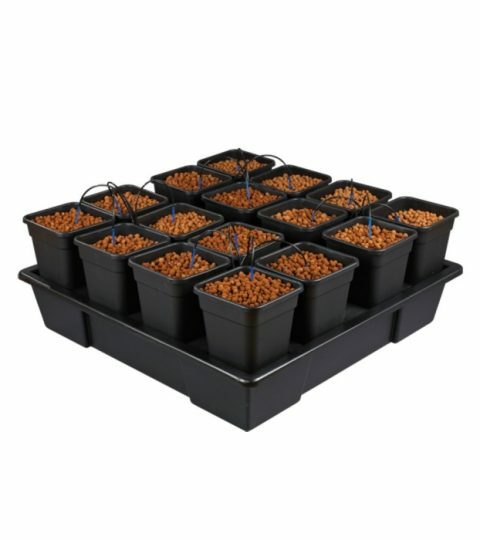 Free draining root zone means no nutrient build up or water-logging. 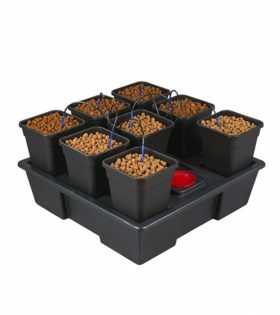 An active hydroponic system offering the precision and control of hydroponic feeding combined with the flexibility of growing in pots.